The owner of a former muffler shop along East Colfax Avenue is putting some dough into it. 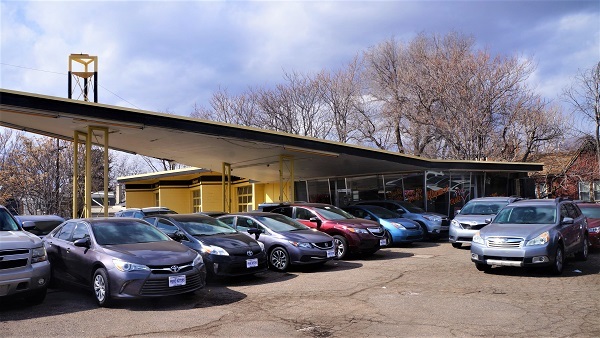 The Robert L. Naiman Co. submitted a site-development plan to the city in late February, indicating it plans to convert the former Meineke at 4839 E. Colfax Ave. into a pizzeria. 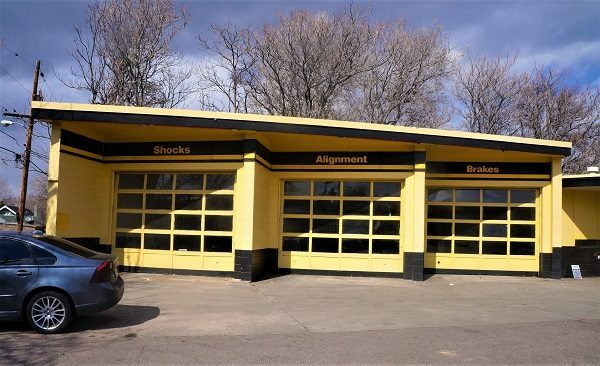 Meineke, which is in the Park Hill neighborhood, closed last year. The as-of-yet unnamed restaurant will be the work of local restaurateur Brad Anderson, who has had a hand in a number of Denver-area restaurants, including Trinity Grille, Rocky Mountain Diner, Castle Cafe and Chopper’s Sports Grill. The latter two remain open. Anderson said he’d driven by Meineke for years, and the space was listed for rent right as he was looking into opening a pizzeria. He signed a lease on the building early last year, and hopes to open in November. Anderson took classes and was certified by Naples, Italy-based nonprofit True Neapolitan Pizza Association (Associazione Verace Pizza napoletana, or AVPN, in Italian). AVPN sets forth the rules that determine the validity of Neapolitan pizza, which focuses mainly on ingredients and processes used. The pizzeria also will have a full bar, Anderson said. The building will undergo a “complete remodel” indoors, Anderson said. The 2,400-square-foot space will seat about 70 in the winter, including 20 seats at the bar overlooking the open kitchen, which will feature a wood-fired stove from Italy. During the summer, the seat count will reach 130. He plans to put a large patio under the building’s retro overhang, left over from its pre-Meineke days as a Phillips 66 gas station. The retro building used to be a Meineke auto repair shop, and before that, a Phillips 66 gas station. Semple Brown Design and engineering firm Proof Civil are involved with the building. The Robert L. Naiman Co. has owned the property for decades. The company most recently made headlines in October when it purchased the former Phil’s Place building in RiNo for $1.4 million. Also coming to this stretch of Colfax are a sushi joint and a deli.